Where is Cloud Computing Going and How Can I Go With It? Cloud computing is one of the most important IT innovations of the last decade. Even if you do not work in technology, you have probably heard a little bit about the cloud and how important it is. Virtually all enterprises, from large global businesses to small startups, use cloud computing. More and more consumer applications use the cloud, too. But what exactly is cloud computing – and how can it lead to a great career? In a traditional software delivery model, a company or user buys a piece of software and then installs it on a computer. The software exists on that computer’s hard drive and nowhere else. If a team wants to update the software, they have to go to each computer and put in a new version. Likewise, if employees want to access the software from another location, they have to connect to the corporate network over the Web – a process that creates security issues. Cloud computing turns the traditional model of software on its head. The basic idea is that software should not be stored on individual computers in the office, but instead on distributed hardware outside of the company network. But, from the perspective of the user, connecting to services is on the cloud is as easy as going to any website. When a team uses cloud software, members connect to the cloud using whatever hardware they want. The experience is seamless no matter what device is used: Desktop computers, tablets, and smartphones can all access most cloud software through their Web browsers. This makes it much easier for companies to keep their software up to date. In fact, the responsibility for updating and maintaining cloud software belongs to the software vendor, not to the individual customer. Any time a major update comes out, the vendor instantly updates the software. Users always access the most recent version. That has huge implications for online safety. Hackers are much less likely to be able to attack if software is always updated. No one on the customer team has to set aside time to make manual updates, which might not be performed correctly. Plus, everyone gets the latest features faster. Virtually every organization uses cloud computing in some form. Many major software vendors have discontinued their CD-based software in favor of subscription software delivered over the cloud. Cloud technology is now maturing, and opportunities are everywhere. Platform as a Service (PaaS) describes cloud services software developers use to build their own applications. Using the cloud makes it simple for globally-distributed teams to work together. They can also be sure they are always working on the right version of their project. Infrastructure as a service (IaaS) is used by organizations to get the technology resources they need. For example, companies can access data storage space through IaaS applications. This is cost-effective because they will only ever need to pay for the resources they actually use. Software as a service (SaaS) is software that runs in the cloud and is accessed by users from any location, as in the example above. These cloud applications can easily scale from a small team to a large enterprise. If something happens to a user’s computer, data in the SaaS app is not lost. How Can You Get Involved in Cloud Computing? Experts in computer networking are necessary to plan, implement, and maintain cloud apps. Although the end user of a cloud app has a seamless experience, providing these services is very complex. The best way to get involved is through a Cloud Computing bachelor’s degree program that unites theory and hands-on training. Network technology experts can pursue positions as network administrators, storage technology managers, virtual server administrators, information technology implementation consultants, and network support specialists. Many other career paths are also available. What Does It Take To Be a Good IT Expert? Even if you don’t know much about computers today, a future in IT is possible for you. Are you interested in computers and what makes them work? Do you enjoy coming up with creative solutions to problems? Are you willing to keep an eye on the latest technology trends? Years ago, it was possible for future IT leaders to get started by building and linking computers in the basement. These days, there’s a much larger body of knowledge that cloud computing pros should understand. Once they do, however, the sky is truly the limit. Are you interested in the cloud? 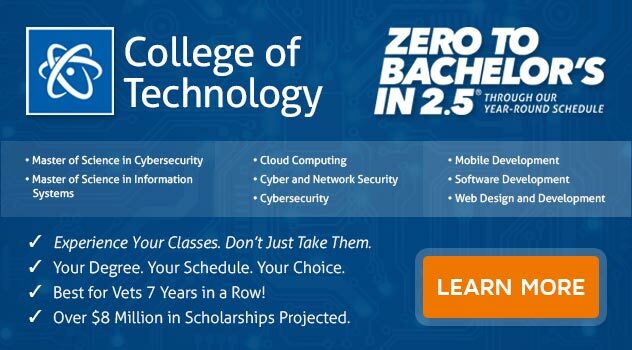 If you want to earn a Bachelor of Science in Computer and Information Science with a Major in Cyber and Network Security - Cloud Computing Track, ECPI University offers this program at an accelerated pace. For more information about this exciting program, connect with a helpful admissions advisor today.